Here is a great accent piece for any Decor. 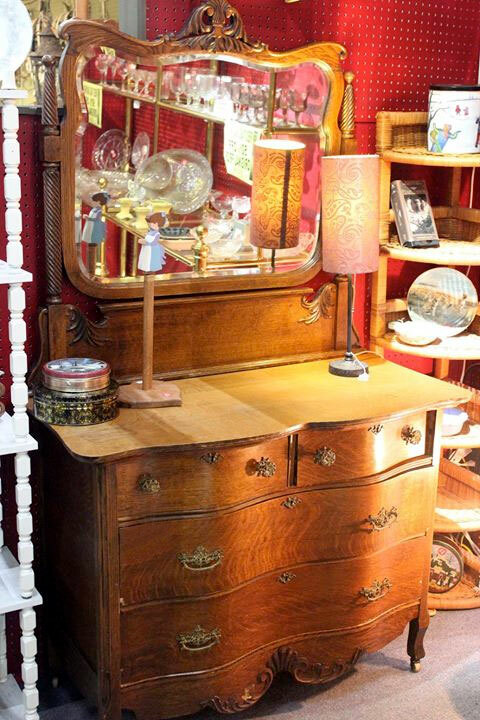 This is an American Tiger Oak Dresser with Mirror attached. Beautiful elegance can only describe this piece that would fit in any home decor, bedroom, entry way, accent piece. Come and check it out today Emerald City Antiques and Collectibles, located inside The Antique Gallery of Lewisville, Dealer #0033.